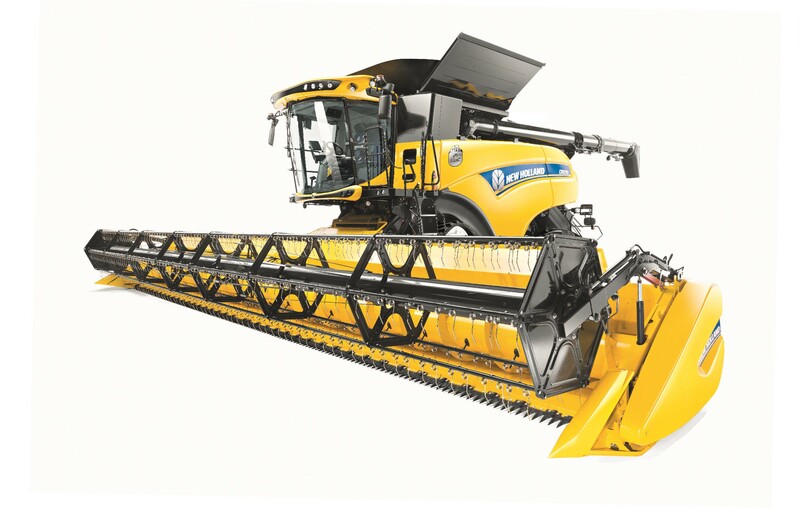 New Holland says its all-new CR combines raise harvesting to a whole new level with up to 15% more productivity in small grains, grain crackage as low as 0.2%, and the ultimate comfort cab. The Company says the brand new Harvest Suite Ultra cab is larger and offers more glass area than previous models. The six model range is topped by the CR10.90, the first combine to enter the class 10 segment in Europe and the most powerful CR ever, that delivers the highest capacity in the industry and truly outstanding performance. It says the Dynamic Feed Roll on-the-go mechanical stone protection system further raises the CR’s massive capacity by feeding the rotors faster and more smoothly while removing stones with no stopping or hesitation. 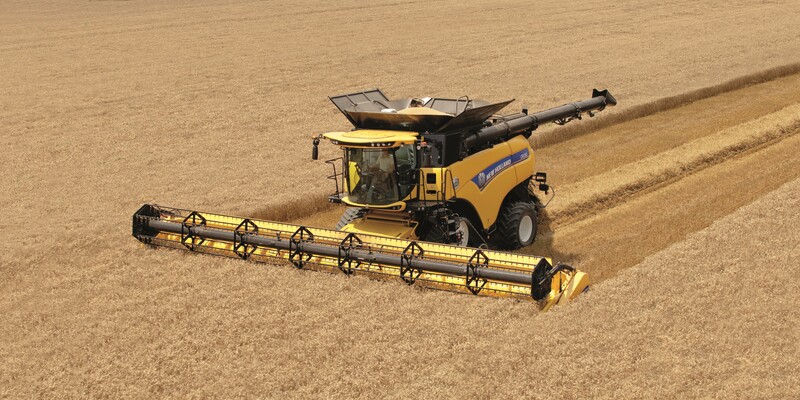 The new serrated blades on the roll are gentle on the crop, resulting in high-quality straw. This is achieved with no additional power consumption, resulting in higher capacity as well as better grain and straw quality than with the equivalent model of the same horsepower in the previous range. New Holland claim CR combines work seamlessly in variable crop conditions with the Twin-Pitch rotors, which can raise productivity by up to 10% in damp conditions. Switching between small grain and corn configurations to rice is easy. The redesigned adjustable rotor vanes require less power in high volume crops and consistently deliver high quality straw. It says the SmartTrax rubber tracks with Terraglide suspension system, standard on the flagship CR10.90 and available on the other models as an option, ensure excellent traction and low soil compaction while providing a silky smooth ride.